The Spiritual Exercises of St. Ignatius of Loyola have helped many people over the years to come and reflect on their lives and to deepen their relationship with God. At The Anishinabe Spiritual Centre, we continue our mission of inviting women and men from diverse backgrounds and traditions to experience this spiritual tradition. 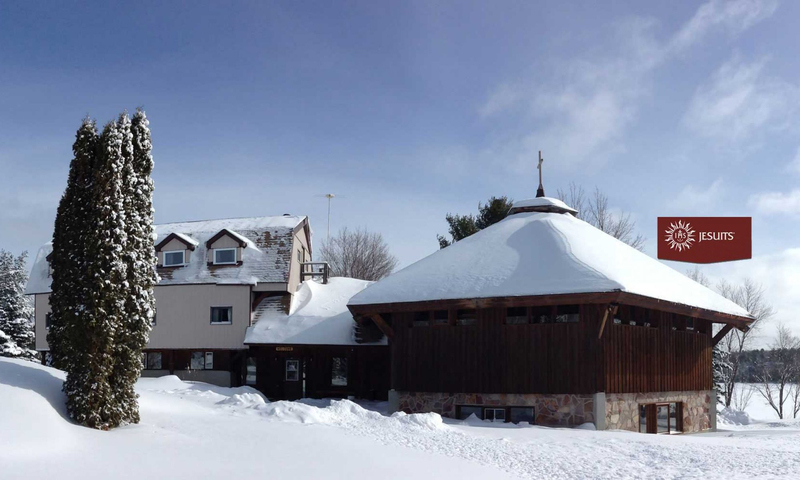 We have been blessed by the response of persons who choose our spiritual centre to come away to “be formed and led by God’s grace.” The Anishinabe Spiritual Centre is known for its setting, the quality of its retreat programs and spiritual directors and the reverence of its creative silence. Located close to Manitoulin Island, the Centre known for its warm welcome, quiet and serene atmosphere. Retreats and Programmes are inspired by Ignatian spirituality – a Christian approach to prayer, sorting out priorities through discernment and the Jesuit spiritual tradition. We hope to welcome you in the near future to this sacred place.